It might seem like everyone you know is making their own beer. The rise in popularity of craft beers in America, combined with the easy accessibility of brewing supplies and equipment (from those little plastic Mr. Beer kits all the way to industrial grade brewing tanks), means that anyone with an idea for a flavor and a little patience can get into the beer game. But what if you’re planning on owning a microbrewery and you don’t know where everything is supposed to go? Or maybe you’re already a brewer but you really need to get those tank rooms tidied up a little bit? 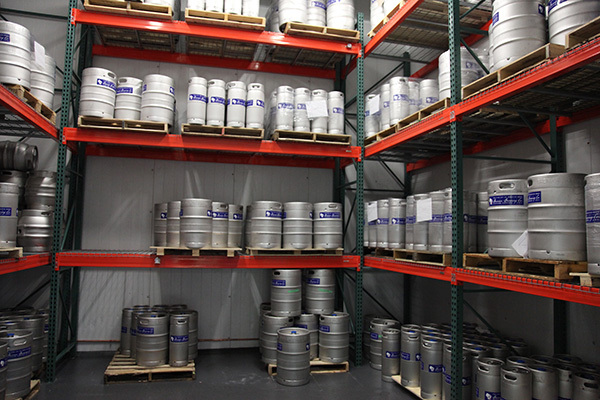 Whatever your reasoning, if you need some storage and organization advice for your microbrewery, we’ve got some tips and advice here to get you going. Figure out how big you need your brewery to be. Whether you’re preparing for a big opening or you’ve already been at it for years, understanding the size and goals of your brewery if going to go a long way towards figuring out the sort of storage and organization you need. Sit down with your brewmaster (if that isn’t you) and work to determine your annual production goals, the amount of barrels you plan to brew, and your overall annual production capacity before committing to your space and design. Devote plenty of room to your tanks. Keep your malts, grains, and hops safe. The thing about organizing a microbrewery is that it encompasses a number of different storage needs, and this includes needing to keep your grains and ingredients safe. The first step is to make sure you have a safe, temperature-controlled room to keep them from spoiling, and bring in some sterile restaurant shelving to keep your grains germ-free and fresh until they go into the tank. Depending on your brewing method and the sort of supplies involved, this may require the use of cold storage as well, so make sure to keep some rust proof wire shelving at hand to prevent damage to the shelving and prevent contamination of your goods. Heavier bags of malt and hops can be kept on pallet racks for easier transport, as well as safer long-term storage. Prevent dust, dirt, and particles. Of course, good shelving isn’t enough to prevent spoilage of your ingredients – you’re going to need to keep out any contaminants too. If you’ve got the space and an excess of ingredients, many experts recommend storing your extra grain in a silo to produce the build up of chaff and dust. You’re going to want to clean and empty your silo on a regular schedule to prevent damage and buildup, and make sure everything is sealed tight and kept at a regular temperature. Finally, it sadly needs to be said that unfriendly visitors like to make their home in breweries just like they would any other restaurant or bar, and it’s crucial to keep a careful eye out for anywhere that rodents or insects could get in to make a home. Keep doors sealed, temperatures regulated, and clean up any debris or spillage that might happen to discourage little visitors from making a home in your brewery.